Tooth trauma or dental injuries are commonly caused by unexpected falls, traffic accidents, and sport related injuries. Teeth are important! They shape your face, help you eat, as well as all the positive effects smiling has to our well being. Most of the time dental injuries are accidents and it is best to know the right procedures to take to ensure care as well as healing. If your tooth has been completely knocked out, chipped, fractured or seems slightly wobbly, this post will give you information on what to do, as well as different treatments and tooth loss solutions. It is still paramount, however, to seek medical assistance as soon as possible from an oral surgeon or a professional dentist. If your tooth has been completely knocked-out try and save the tooth if it is still mostly intact. If the tooth is dirty gently rinse the tooth with milk or water. Do not rub or scrub the tooth as this may cause further damage to the root. If the tooth is broken do not try and re-implant it, see below. Avoid the root when holding your tooth, this is very fragile and can cause irreversible damage. Attempt to slide the tooth back into the socket; do not attempt this with force. It is best to try and do this as soon as possible from the time the tooth fell out. Use a clean cloth to bite done gently to hold your tooth in place. Make an emergency appointment with a dentist. If the tooth is broken, do not try and reimplant it. If the tooth is not going back into its socket, do not force it. See a dentist as soon as possible to see if this tooth can be reattached. Reimplantation within 5 minutes will increase the long-term survival of an avulsed tooth. An oral surgeon or dentist will realign the position of your tooth if necessary or alternatively the dentist will perform the reimplantation. There are many contributing factors which can affect the successfulness of reimplantation, these are factors such as age, dental health and time. A dentist may decide that reimplantation will not be successful, therefore see below for Lost tooth solutions. Although a tooth may be successful in reattachment, once the tooth leaves the body, the pulp (the nerve tissue and blood vessels inside the tooth) dies. A reimplanted tooth must go under a root canal treatment. This is because the inside of the tooth has died and if the decaying tissue is left within the tooth's chamber, this can lead to infection. With a root canal treatment, the tooth will be disinfected and filled. This will extend the life of the tooth. 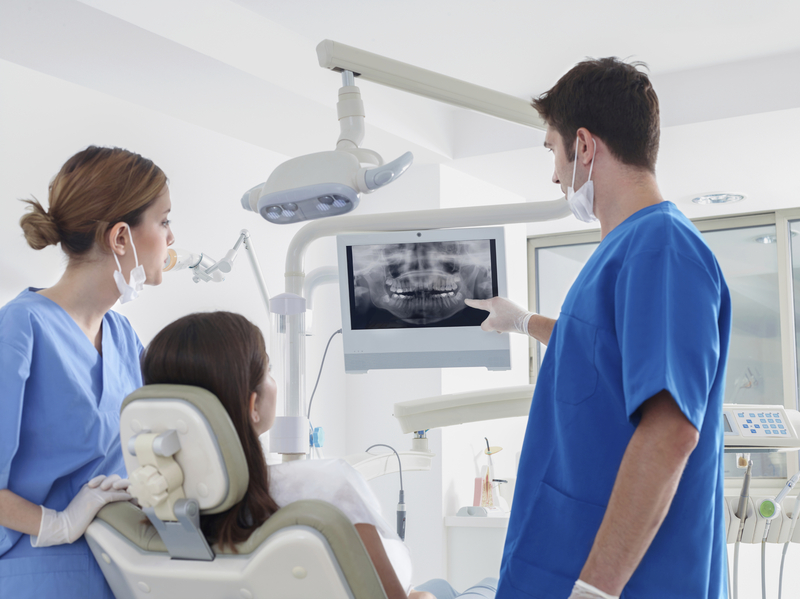 A dental injury can cause a vertical or horizontal root fracture. This will not necessarily be painful straight away, however, may become painful over time while biting or chewing. The extent and position of a root fracture can only be seen on a dental x-ray. Although it can be assumed that a dislodged or chipped tooth likely also has a root fracture. The success rate of healing, as well as the life of the tooth, is dependable on the location of the fracture as well as the direction. If the fracture is more vertical reaching the gum line, the long-term success rate is considerably lower. If the fracture has been made close to the root tip, the tooth will have a much better success rate. A dentist may reposition the tooth if it has been dislodged. A splint may be necessary to stabilise the tooth for a period of time during healing. After the tooth has been stabilised, depending on the severity of the damage to the nerves and blood vessels inside the tooth, a root canal may be necessary. If your tooth is chipped or cracked, try and save the piece that has been broken, this may be able to be bonded back to your tooth by a dentist. Again keep the chipped piece of tooth either in milk or saliva. If the broken piece of tooth has been lost or beyond saving, composite bonding can be used to repair and reshape the tooth. Alternatively depending on how severe the chip or crack is, cosmetic dentistry solutions such as dental veneers may be advisable. If a child loses their baby teeth do not try and re-implant this tooth. If a baby tooth is lost or knocked out prematurely, you should take your child to see a dentist. 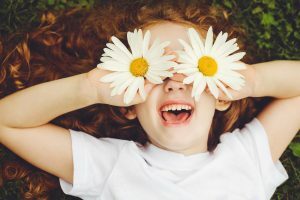 Dental injury to primary teeth can cause damage to the development of underlying permanent teeth such as tooth discolouration or increase sensitivity. These are a non-fixed solution to missing teeth. 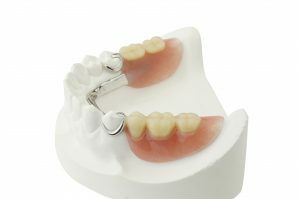 Dentures can be both partial and complete, meaning they can be made to replace one tooth, multiple teeth or a full arch. Dentures are available on the NHS as well as privately. 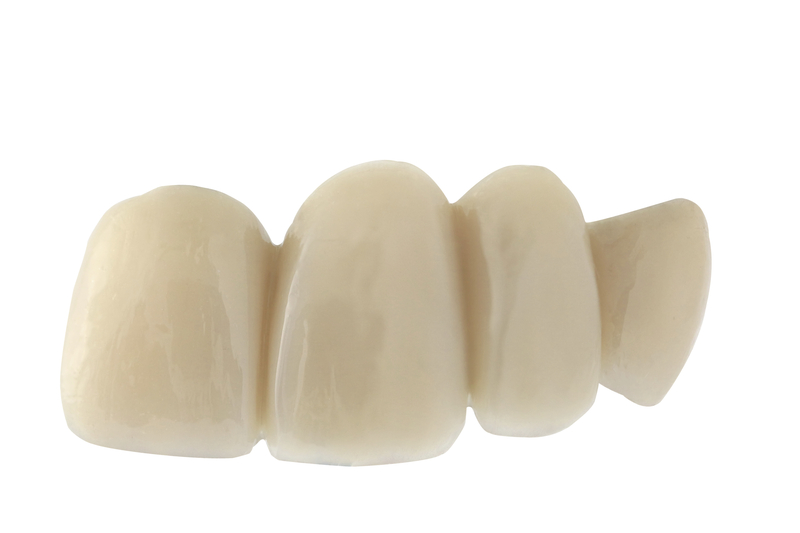 A dental bridge as the name suggests bridges the gap between missing teeth with two or more crowns. Natural teeth or dental implants are used to support the crown to bridge the gap. Remaining teeth used for the bridge will have to be reduced so that the crowns can be fitted. 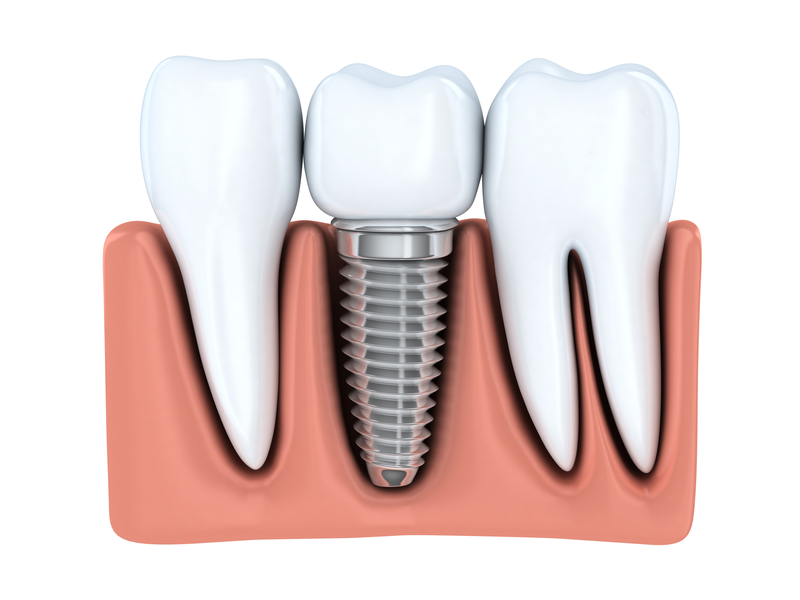 Dental implants are the closest replacement to natural teeth in prosthetic dentistry. Implants are either fitted individually with a crown, or multiple implants can be used to fit a dental bridge. Dental implants not only bond to the jawbone similar to natural teeth, but can also last a lifetime! Preventing dental injuries is very difficult, walking around with a gumshield wherever we go would be unrealistic, although in preventing sport-related dental injuries it is very advisable. Accidents are unfortunately unpredictable, therefore preventing an accident without hindsight is unavoidable. What we can do is take the proper measures and precautions to hopefully avoid injury.